Thank you for stopping by Today. How are we all doing? 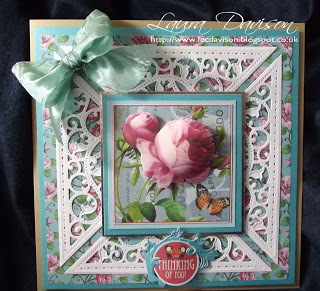 Today we are showcasing another one of Laura's samples for the Floral Collection. Don't the dies look fabulous against the background and enhances the topper?